Late December saw Phil from Canberra, Bill H from Wollongong and myself braving the European winter for the second year running for a short trip to the TL-Ultralight factory in the Czech Republic followed by several days in the Slovenian town of Ajdovscina, home of the Pipistrel company who manufacture the Sinus and Virus aircraft. As usual, it’s always an adventure when travelling, and this trip proved no different as we negotiated snow filled roads in countries which, for some reason, drive on the wrong side of the road. Our trip had the three of us meet in Sydney and fly Lauda Air to Kuala Lumpar. Then to Vienna where we changed aircraft for the trip to Prague. Following business in the Czech Republic we flew back to Vienna and hired a car for the 500 odd kilometer trip to Ajdovscina. Whilst I had corresponded with the Pipistrel’s management for some time through email and phone, it was finally good to be face to face and view first hand the operation of the company. 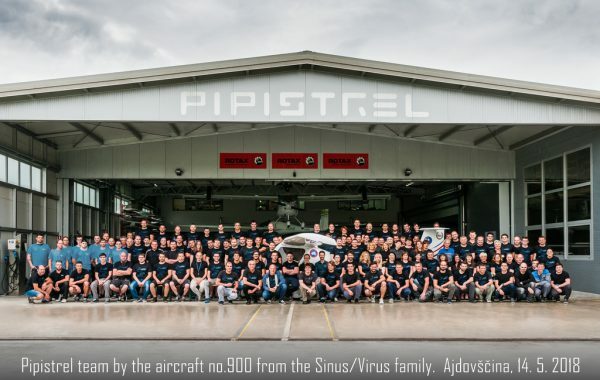 Pipistrel is run by the dynamic team of Ivo Boscarol (pronounced Evo) and Marjana Krmavner (pronounced Marianna), who oversee all facets of the companies operations. Their ability to speak really good English makes communication very easy as they proudly guided us through their facility. The Pipistrel Company employs about 24 people and we were very fortunate that they stayed back on the Saturday, one day into their Christmas holidays, to give us the royal tour. 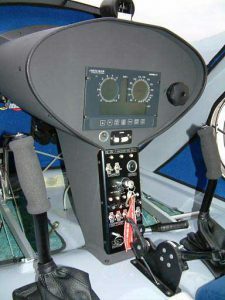 Full dual controls with these aircraft – the pedal position can be moved forwards and aft for different sized pilots by pulling the spring loaded pin on the mail rail and the brake angles are also quickly adjusted with an allen key if necessary. Pedals and brakes installed before fitting the dash panel assembly. What becomes evident before anything else is the quality of the aircraft and the employees pride in their work – I don’t know too many employees who would work an extra day into their Christmas holidays just to show us around. The employees that we met were really keen to talk with us and show their skills – this may be in part because they don’t get the opportunity to talk to English speaking people very often but it was a joy to experience their enthusiastic hospitality. The quality of construction of the aircraft only becomes obvious when you actually see an aircraft up close, touch it and run your hands over its finish. 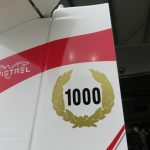 It is mainly constructed of Carbon Fiber, which is prepared with a special proprietary process where the molds are actually sprayed white and the fabric laid over the paint/pigment. The result is a perfect finish without the extra weight of gel coat and acrylic or two-pack paints. The finish is purely superb straight from the mold. Pipistrel make a special muffler to suit the 912 which keeps the noise level down to less than 65 DB when flown overhead at 100 feet. We were fortunate to see the fitting out of Matevz Lenarcic’s round the world Sinus Aircraft in the factory. The aircraft is fitted with 2 additional long-range tanks in the wings giving his aircraft 200 liters capacity; autopilot and a heap of added extras are being installed for this epic voyage. I followed his last adventure almost daily through the Internet and I will not miss this trip due to start mid year 2003. 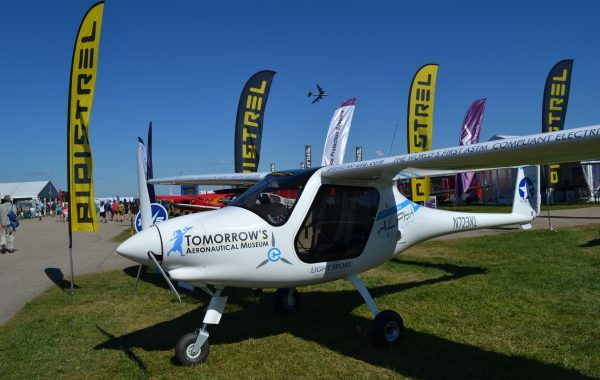 There are currently 2 models of aircraft in the Pipistrel range that we are selling; the Sinus is a 15-metre motorglider and the Virus is a 12.5-meter motorglider which flies just like a real light sport aircraft. 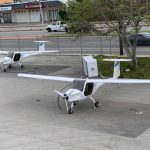 Besides the wingspan, the only other differences between the two aircraft are that the Sinus is equipped with a steerable tail wheel and the Virus a steerable nosewheel on conventional tricycle undercarriage. Most aircraft are now fitted with the Brauniger MFD panel but there is still heaps of room to panel mount a radio and transponder and a GPS. The tyres are very robust and will handle Australian conditions without any problems, the hydraulic brakes are also very effective, to reduce drag the brake lines are plumbed into the landing gear. It had been about 15 years since I had flown a tail wheel aircraft and I was kind of disappointed that it was so easy and I didn’t have to work harder. I guess the long distance to the tail wheel from the main undercarriage eliminates the tendency to ground loop and the aircraft basically went wherever you pointed it. The undercarriage is strong and forgiving as I tested it over the half frozen molehills that dotted the runway. Lining up on the runway with airbrakes in and two stages of flap saw me applying full power to the Rotax 912 80 hp engine. With the stick pushed slightly forward it immediately lifts the tail from the ground. As soon as the tail lifts the forward stick is released to trim, the aircraft sits level and then leaves the ground in a level attitude and settles into an unbelievable 1200 fpm climb with full fuel and two overweight adults – very impressive on just 80 hp. The flap is slowly reduced from second stage to neutral at about 250 feet and the engine power is reduced to about 5000 rpm as the aircraft passes through 500 feet. The speed of the aircraft is already at about 80 knots when the flap is set negative and the in-flight adjustable propeller is wound courser. The engine revs now drop to around 4400 rpm for about 115 knot cruise. Not bad when your using less than 10 lph !! In the factory a Ballistic chute is being fitted, the cut-out is siliconed back in the aircraft when the chute has been fitted, the slings are bonded to the aircraft surface and everything is streamlined up. 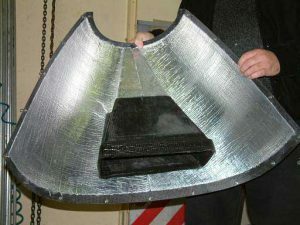 This photograph shows the wing section at the root, the wing spar runs to about 50 mm of the wingtip and the laminar flow wing profile is obvious in this photograph. Landing the aircraft is even simpler than take off. Power is reduced to just above idle when joining crosswind and when the aircraft speed is reduced to around 70 knots the first stage of flap can be selected. The aircraft happily flies the circuit to final where second stage of flap is selected at around 50 knots. This is where flying these aircraft comes into their own as normally you would use small amounts of throttle to adjust the glide angle for a landing on the piano keys. With these aircraft the throttle is not used. Instead, the airbrakes are used to arrest the glide angle of the aircraft. The airbrake lever is located between the pilot and passenger in the roof of the aircraft – forward is off and back is on; simple!! It only takes one circuit to get used to them and I now believe every aircraft made should have them as it makes landing just so easy. If you’re going to overshoot you only need to extend the air brakes. If you’re coming in short, you take them off and the aircraft glides for what seems like forever. The interesting thing about using the airbrakes is that the aircraft attitude does not change when you use them; the only change is to the decent rate. Inside the cockpit and looking up shows some of the structure which supports the wings and the air brake handle, also visible is the ballistic chute deployment lever. Notice the clear panel overhead for visibility in thermals if you have aircraft above you. When lower to the ground, you flare and run the plane out of airspeed and it’s dead easy to perfect exceptional 3-point landings, as the aircraft almost lands itself. 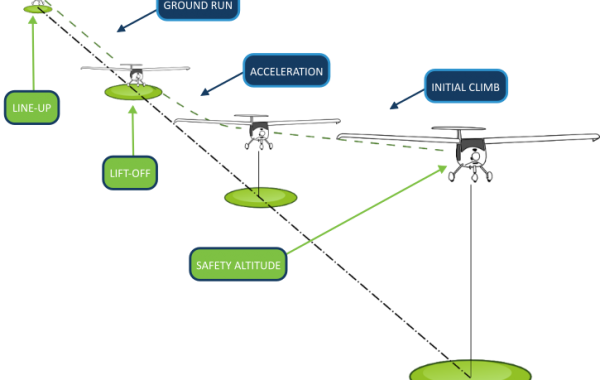 You roll to a stop and release the airbrakes to taxi off or roll again for takeoff. If you take the airbrakes off before slowing down, the wing will generate lift and the plane starts flying again. The Virus is even easier to land (if that’s possible) and if you flare a little too much it has an aluminium skid built into the tail so it can be dragged across the ground without damaging the aircraft. The steerable nosewheel is directly linked to the pedals and provides excellent directional stability at all speeds. 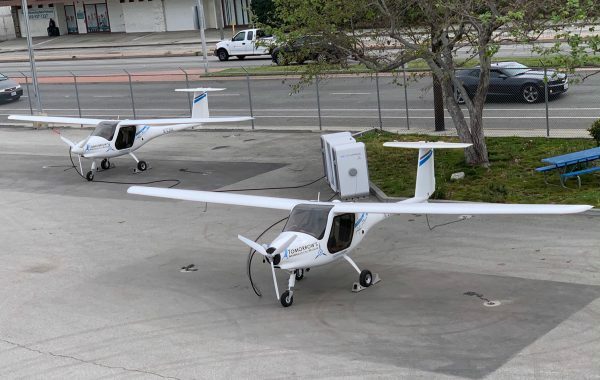 The Virus, with the shorter wing and higher cruise speed, will directly compete with the more conventional light aircraft in the Australian market and I believe the difference in build and flying qualities will quickly establish the Virus as a serious competitor in this category. Now, the aircraft is called a motor glider and I guess that’s why we are there…..
To feather the propeller the engine power is reduced to idle and the prop wound to fine pitch. The engine is briefly allowed to cool and the ignition is switched off. The prop lever is then pulled out about 100 mm and the whole assembly turned about 20 degrees to the right where it locks the prop at 90 degrees. The aircraft then glides at around 30:1 for the Sinus and 24:1 for the Virus. The VSI shows less than 200 feet per minute decent in still air and it only took the slightest breeze up the mountain range behind the airfield to see some impressive climb figures. Who knows what climb figures we can expect when we hit some of those good Australian thermals. To make the aircraft ready for powered flight, the prop lever is turned back to the left and pushed in towards the dash. The starter button is ‘touched’ a couple of times to bring the prop back to fine pitch and then the engine is started in the normal way. Idle is around 2400 rpm and the aircraft will maintain height with only 3000 rpm. When the oil had warmed back to 50 degrees C, full power could be applied to the engine and the aircraft flown off for more fun. We also had the opportunity of doing a few circuits in a Rotax 50 hp 503-powered Sinus and its performance was exceptionally good for such a small engine. With the lower price, the Sinus 503 will become very popular in Australia. On closer inspection there are many things that become obvious about the aircraft that are not picked up on the first walk-around. Firstly, the wings can be removed in about 5 minutes and the tail removed in about 2 minutes, making this aircraft ideal for transporting home or storing in a sea container at the airport. The whole aircraft can be readied for flight in about 15 minutes. The aircraft comes with a gasculator and on the left is the connection point for filling the wing tanks from cans if you don’t have a ladder… Simple idea and saves a lot of effort. 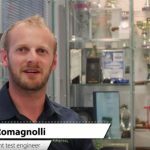 As the Rotax importers and certified service center for Slovenia, Ivo sees engines in all sorts of applications and his experience with these engines shows as he moves some of the heat sensitive electrics from the engine bay into the cabin for better performance and increased reliability. The engine bay is completely sound proofed and it’s possible to fly for extended periods without any headsets. The outside temperatures were well below zero and the cabin heater supplied as standard kept the temperatures well above 20 degrees C. A really nice feature is a special fuel pump supplied with the aircraft which allows you to fill the plane from fuel drums on the ground without the need to find ladders to fill up the wing tanks. The aircraft has been fully sorted and thought out in so many ways that make life as an owner much easier. 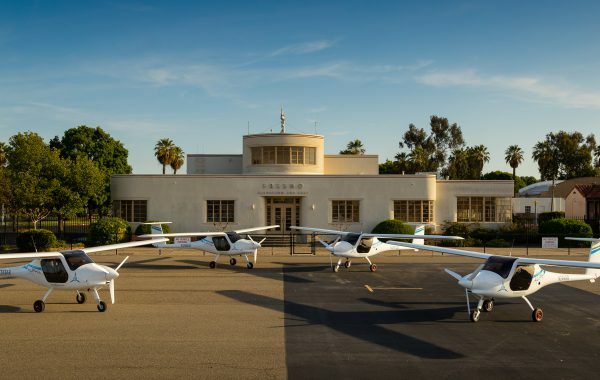 Since my start into Ultralight aviation a few years ago, and my visits to Narromine on a few occasions, I have gained a working knowledge of the aircraft available to consumers in Australia. I do not, in any way, profess to be expert on the many aircraft available but I have over the last few years seen a few and this has given me a reasonable perspective on the quality and workmanship of some of our Australian registered craft. I was a little skeptical about the Pipistrel aircraft as I had fallen in love my Sting and thought that nothing could match the quality and performance of that aircraft. I was proven wrong however on this visit when I was introduced to the Virus and Sinus. Phil’s favorite… the Virus being taxied in from another flight. 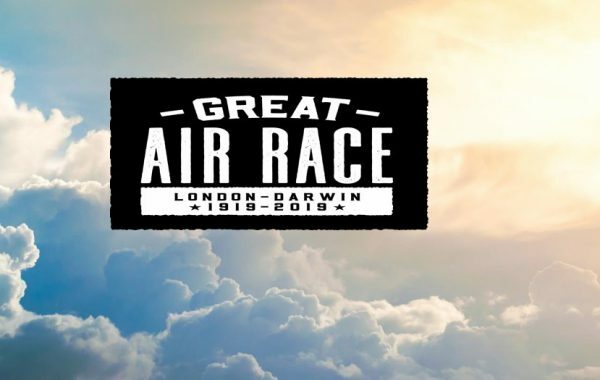 Huge mountain ranges back onto the airfield and provide hours of safe flying along the ridge tops… I reckon it would get pretty busy in Summer with all the hang gliders and para gliders. The main difference that was evident in these aircraft, when compared to many others, is the painstaking efforts to minimize weight and drag and yet still provide the high margins of safety provided by extra strength materials. Ivo and his team have gone to great lengths to design the aircraft in such a way as to reduce drag to the bare minimum. 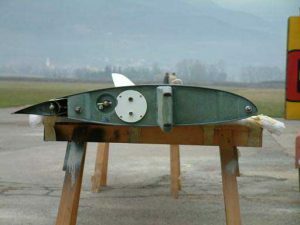 For example, the windscreen is molded and fitted perfectly to the fuselage without any seam, the brake hydraulic lines are run inside the undercarriage leg, control joints are covered to reduce drag and improve lift, the elevator is configured as a T-tail to reduce induced drag from the fuselage, and he is even looking at ways of embedding the radio antenna into the undercarriage leg to reduce the drag caused by an external antenna. 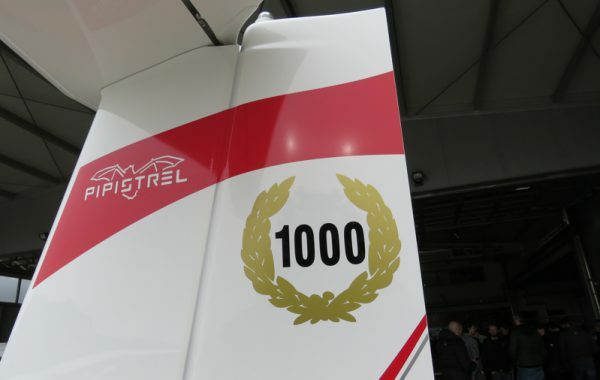 Weight is reduced where possible by manufacturing components from magnesium and titanium and some of the less important engine fittings, such as the radiator, have been replaced with lighter versions. Even the surface color has been weight reduced by including this in the component mold rather than adding addition two-pack or acrylic paint after the components have been finished. This also results in a hardy finish that is less likely to cause problems over the years than a painted finish that is susceptible to chipping and peeling. I was fortunate enough to get a few hours of flying in both the Virus and Sinus models. I have flown tail draggers before and haven’t liked them due to the reduced visibility and tendency to be difficult to control on the ground. As far as visibility goes, the Sinus is no exception – visibility for someone as short as me, 5′ 4″, is slightly reduced with the nose high attitude on the ground and I found it necessary to adjust the seat height for a better view. I found it easy to look to the side, even with the door closed, so for a taller person this would not be an issue. Unfortunately I operate from a field where hang glider towing is regularly undertaken and I need full visibility out in front to avoid any collisions on the ground. Phil strapping in for his first flight in the Sinus, the smile was even bigger on his return !! Ready to come back to Australia, pictured from left to right, Michael, Ivo the owner of Pipistrel, Phil from Canberra and Tine (pronounced Tina) who gave us all the demonstration flights…. 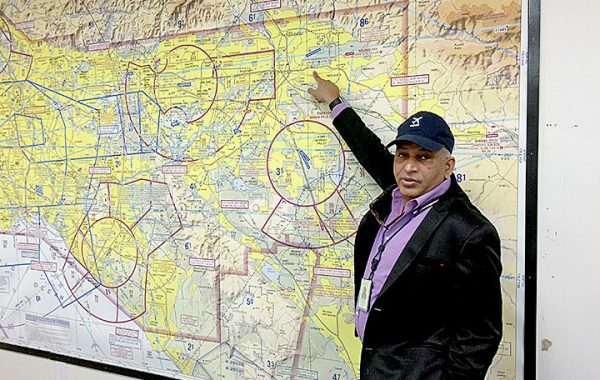 Quite a pilot !! The Sinus does however perform and handle better, both on the ground and in the air, than other tail draggers that I have flown. Being so short, I find it difficult to look out the side and land straight and have had problems with aircraft such as the Decathlon because of this. The Sinus is quite stable however and the control on the ground was positive, reducing my tendency to stray on landing. The rudder pedals provide more than enough adjustment for any size person with the ability to adjust not only the forward / aft position but also the angle of the pedals. It took only 15 seconds or so to adjust the pedals from Michael’s long legged position to my short requirements. Adjustment for shorter pilots such as me is also achieved by adding a larger cushioned seat back to bring the pilot closer to the dash for easy reach. With a 15m wingspan, you would expect that this aircraft would be sluggish and slow to maneuver but Ivo has done a remarkable job in designing a performance aircraft with such versatility. The almost full-length ailerons provide positive, effective control even at the slow gliding speeds and the controls feel firm and responsive during all maneuvers. I am more of a speed freak than a glider pilot and so the Virus was the real target of my attention. This aircraft is extremely capable and flies like a dream. Ivo’s test pilot gave us a demonstration of the Virus’s capabilities by performing a handling demonstration over the airfield and after seeing the performance I was keen to jump into the pilot’s seat. The aircraft is not endorsed or certified for aerobatics but the test pilots have special authorization from the Slovenian authorities to perform advanced maneuveres whilst solo to test the aircraft’s full performance envelope. I found the Virus a beautiful craft to fly. The visibility for a shorty like me was not an issue, although I still needed the modified seat to allow me comfortable reach to the dash. The handling was superb. Given that this was designed for performance, the glide ratio of the Virus at 24:1 is slightly below that of the Sinus’ 30:1 but the performance and speed overcame that minor shortfall for me. Tine, our check pilot for our first few flights, had told me not to exceed 80 knots on downwind without setting the flaps to negative. I found this a little difficult as I was flying low level (500 ft) circuits and the aircraft quickly reached this point even with only 4600 rpm on the 80 hp engine and fine pitch on the prop. During flight, the aircraft proved very ‘slippery’ and quickly accelerated to 135 knots and to touch the VNE without any effort at all. Overall, these two aircraft are definitely worth a look and a test flight. My only regret – that we didn’t have more time to spend soaring the ridge and admiring the beautiful scenery around Ajdovscina. In conclusion the trip was extremely worthwhile and our relationship with a new supplier has been firmly established, there are currently 4 aircraft inbound for Australia as I write this newsletter. Three Sinus aircraft and one Virus are headed to our shores. A Sinus demonstrator will reside at Jacobs Well on the Gold Coast, and two are privately owned aircraft, one near Lithgow in NSW and the other to Mildura in Victoria, the first of our Virus aircraft will be located at Canberra Airport in the ACT. Unfortunately our first two aircraft won’t make it to Avalon Airshow in mid February as we expect the boat to dock in the first week of March. We will however be doing some travels leading up to the aircraft’s official release at Natfly 2003 in Narromine over the Easter long weekend (18th to 21st April 2003). 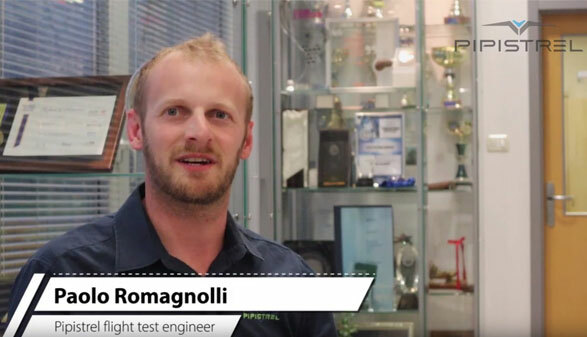 Good news is Tine, the test pilot from the Pipistrel factory will be coming down to Australia to take customers flying and answer all those technical questions. We have some good video footage from Slovenia if anyone’s interested; and we will be making our own movie for the Australian / New Zealand markets when the first aircraft turn up in March; stay tuned for an update.